Structural Steel | San Pedro, CA - Steel Exchange Inc.
Steel Exchange Inc. is a structural steel distributor located in San Pedro, California. The company was founded in 1972 by Joseph S. Remis, aka "Steel Dr." After serving in the military and graduating from the University of Southern California, Joe began his career in steel with General Pipe and Supply before moving on to Ziegler Steel and eventually starting his own company. More than 45 years later, we continue to offer the best possible quality, service, and prices. 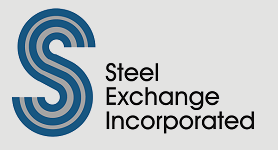 Continuing with the idea of distribution and “value-added” processing, Steel Exchange Inc. continues to expand in both size and ability. Steel Exchange, Incorporated is certified as a Minority Business Enterprise (MBE) with Southern California Minority Supplier Development Council (SCMSDC). Steel Exchange, Incorporated is also certified as a Disadvantage Business Enterprise (DBE) with the Los Angeles County Metropolitan Transportation Authority (Metro) under the U.S. Department of Transportation (U.S. DOT) Regulation 49 CFR Part 26, as amended. Today, Steel Exchange Inc. continues to see success and growth. Our legacy is rooted in hard work, employee dedication and industry expertise. We are about smart growth that translates to good business that helps our customers. We are proud to offer products produced by the industry's top steel mills. Our catalog includes products that are promptly available, and competitively priced and even difficult to locate. We will continue to add new products to our inventory in order to provide our customers with the most comprehensive selection. In addition to the structural steel shapes shown in our catalog, we also distribute Alloys, Aluminum, Brass, Copper, and Stainless Steel sizes and shapes. Contact us today to place your order. Our experienced sales personnel and steel experts are available to provide prompt and comprehensive assistance for all of your requirements. Prime Contractors, please ask about our local and national certifications, and partnership opportunities.